At the Skybound panel at Comic Con today, Telltale and Skybound unveiled a little bit more about their miniseries about Michonne, which is set during the period in the comics when Michonne is not present. 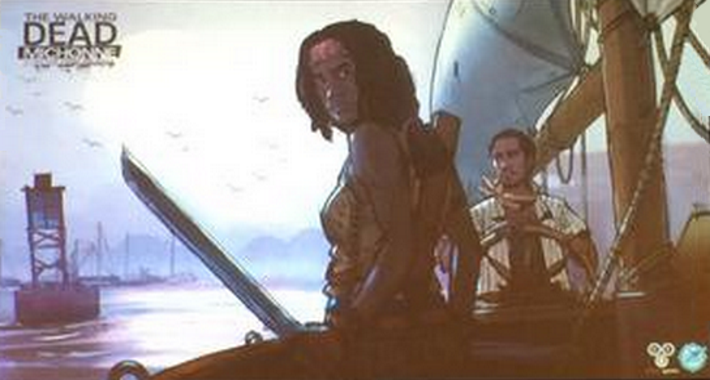 It tells a story during a time when Michonne is at her lowest, and she is "bereft". She also will be wielding a machete rather than her trademark sword, as she doesn't have it at this point. Since Michonne is an action character, the game will require more action, and Skybound tweeted that "you will be pleasantly surprised". It will be released as a three episode DLC for Season Two late this fall. 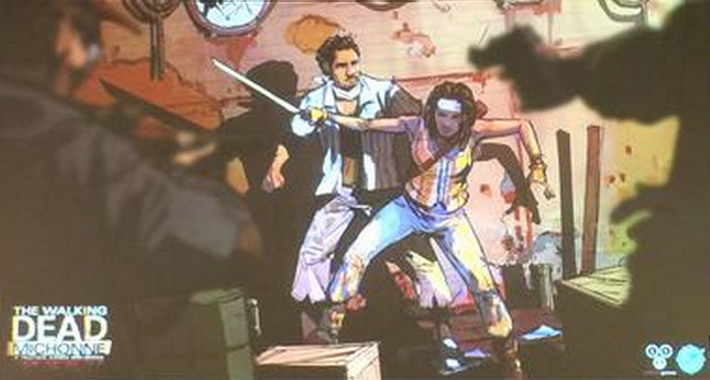 They also released two pieces of concept art for The Walking Dead: Michonne during the panel.